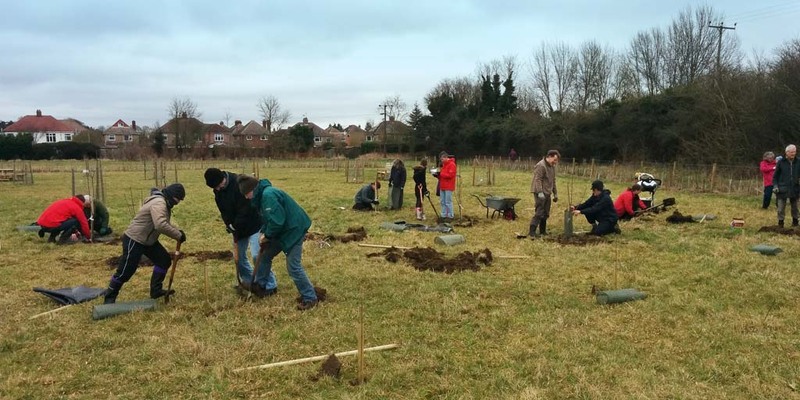 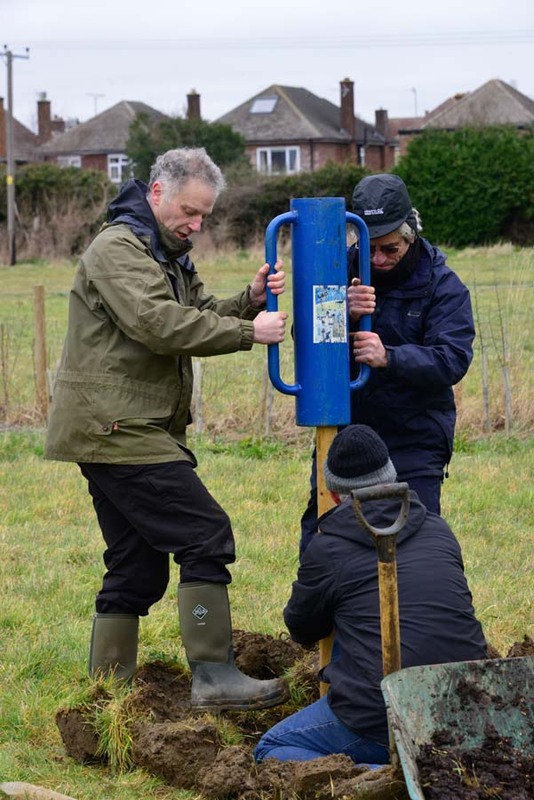 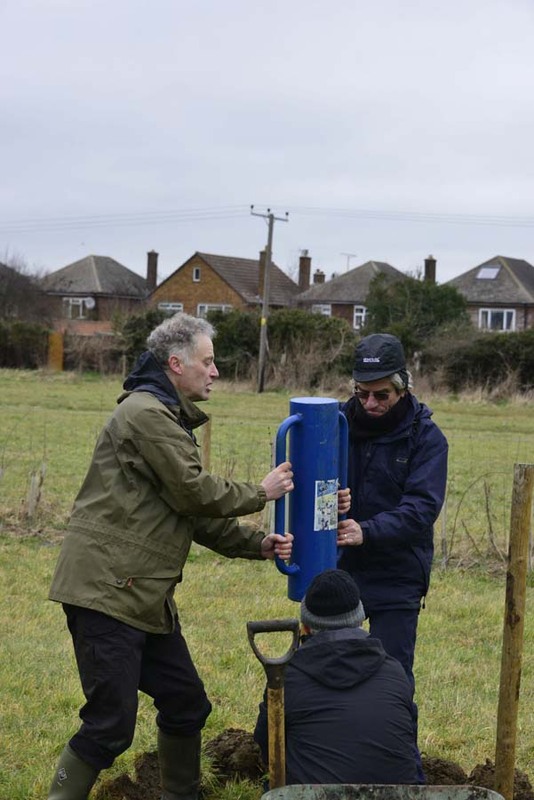 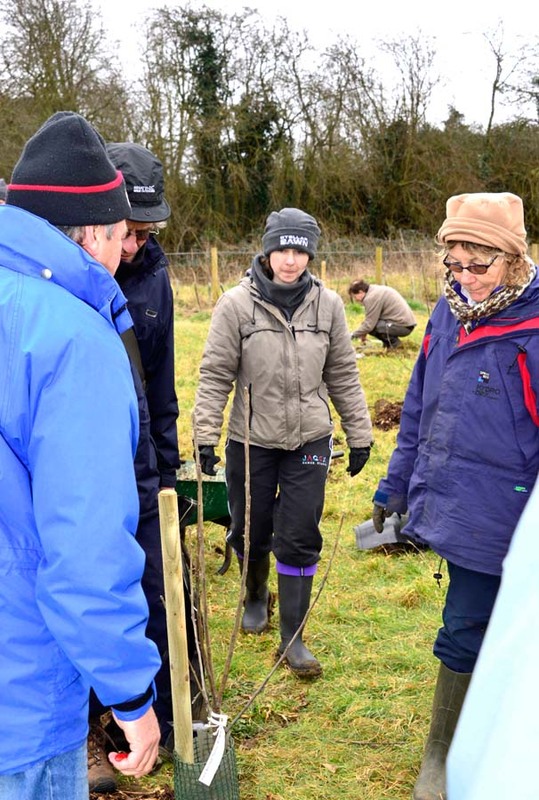 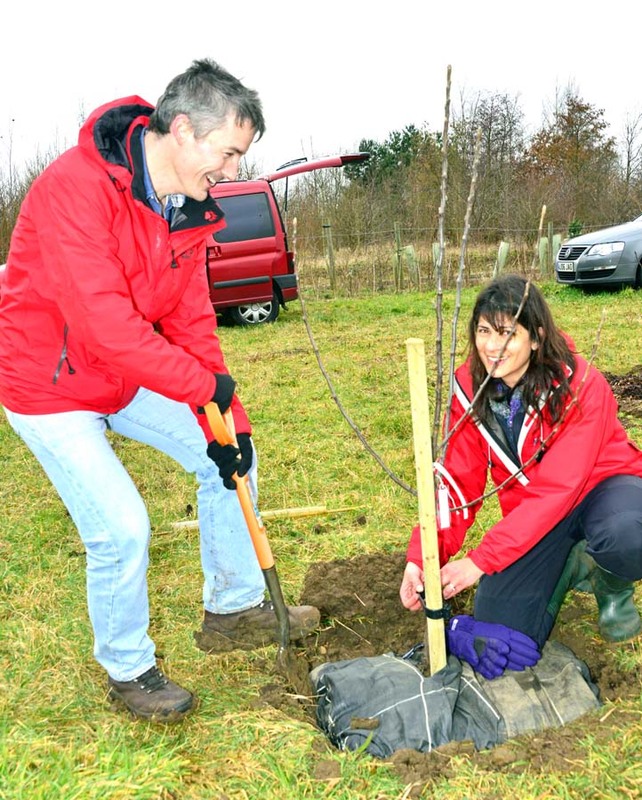 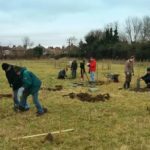 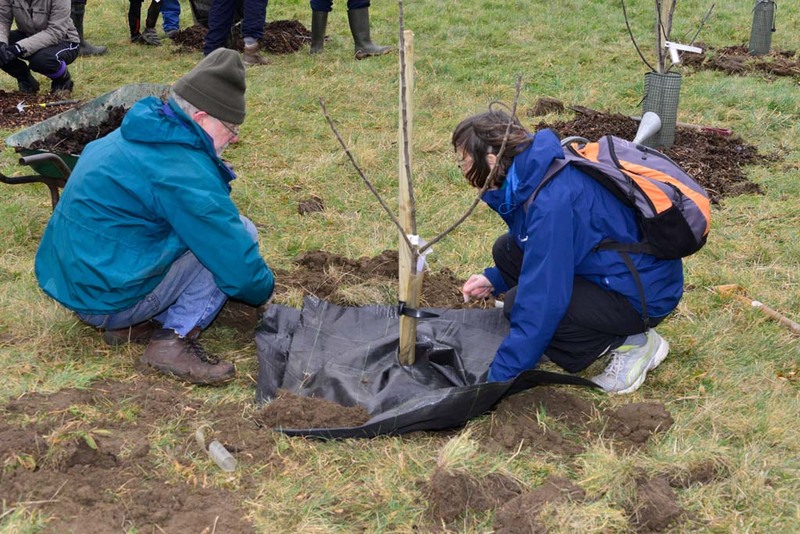 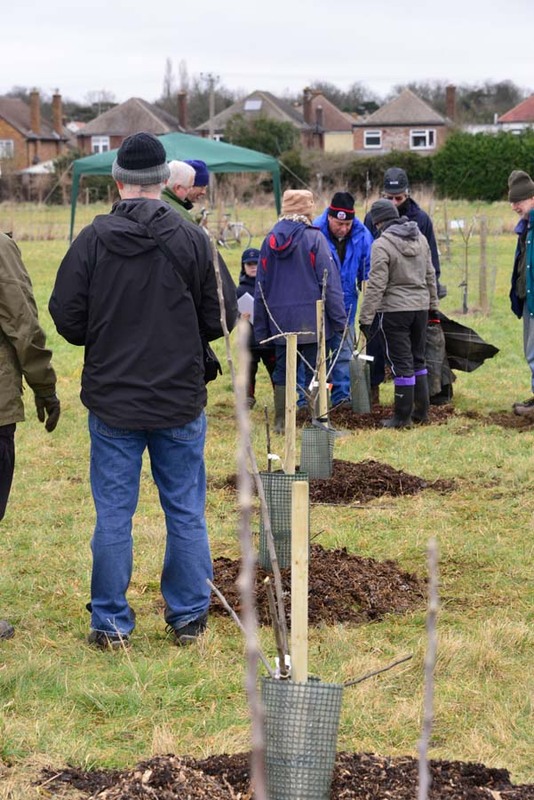 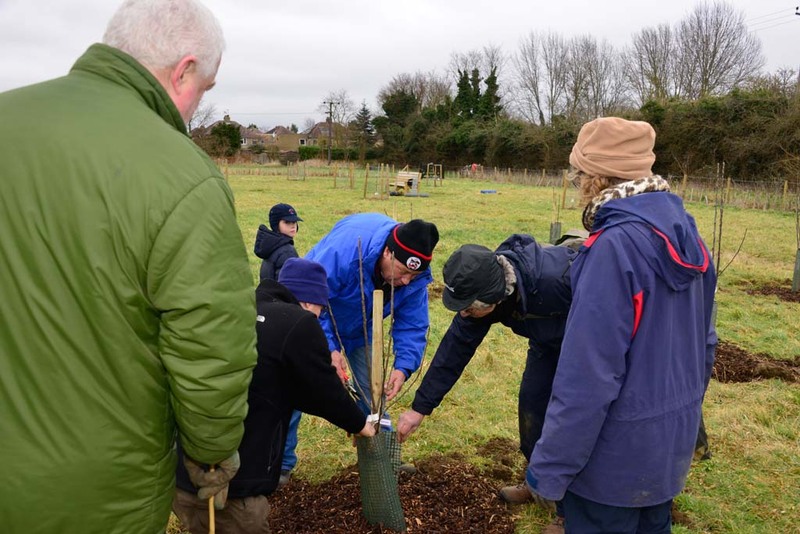 On Saturday 28th February 2015 a group of volunteers gathered at the orchard to plant the last round of fruit trees. 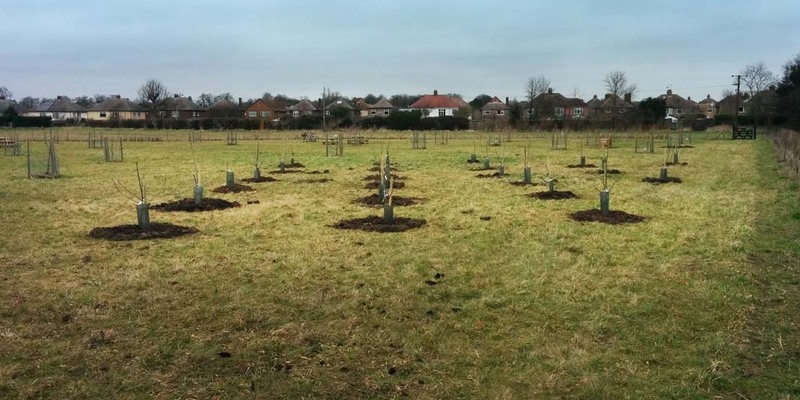 The 2 larger trees were a Green Harvey and a Huntingdon Codlin. 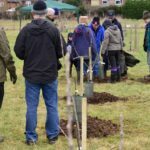 Our thanks to everyone who turned up and helped with the planting. 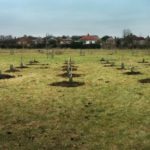 Planting the last of the fruit trees was a milestone for HICOP, but there is still much to do going forward. 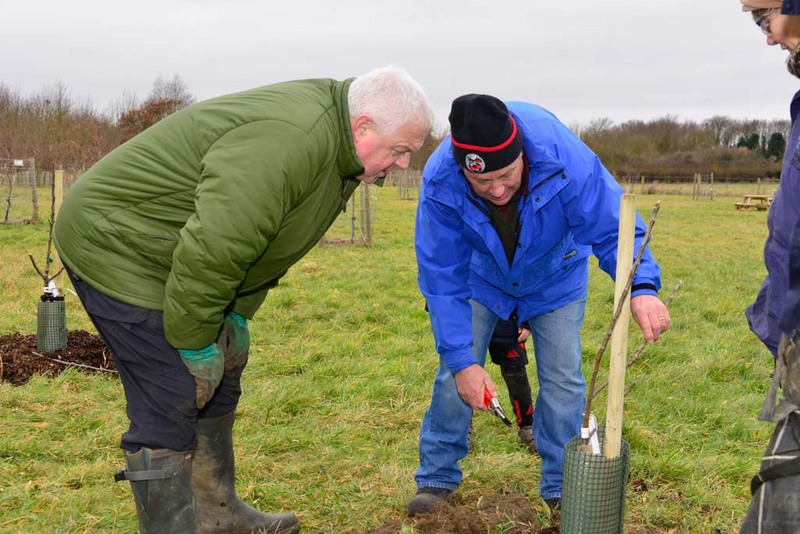 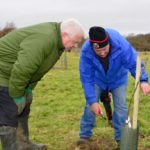 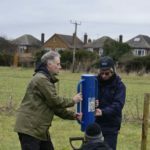 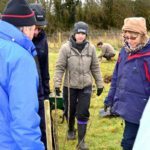 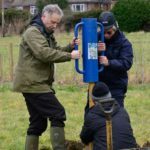 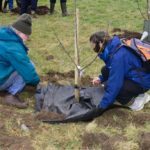 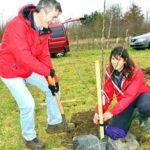 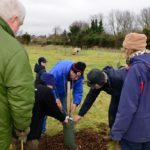 We would like to add wildlife hotels, composting bins, perhaps bat boxes and beehives and, of course, there is ongoing maintenance of the orchard. 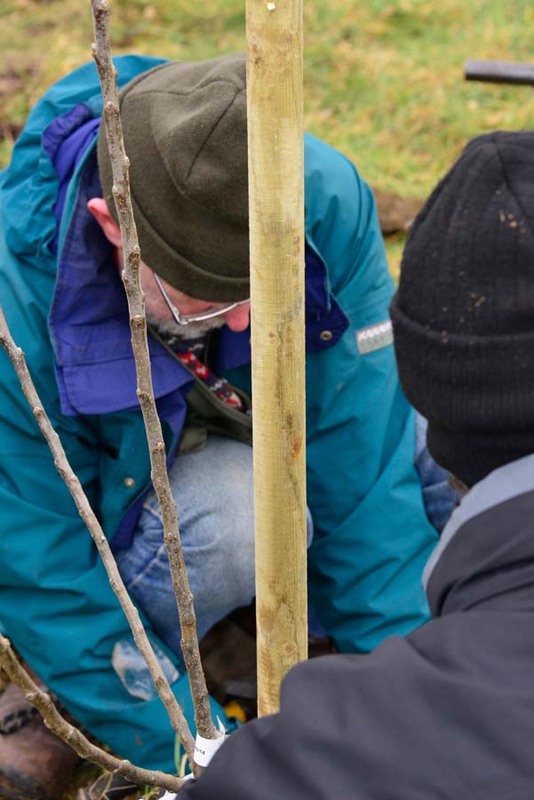 Mostly across the summer months a few hours maintenance are undertaken each weekend. 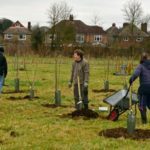 This ranges from watering the young trees to spraying them with an organic garlic compound, weeding and mowing pathways in the meadow so that people can wander around and enjoy the space. 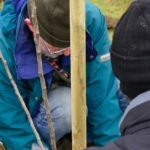 Please get in touch if you would like to help out with maintenance, just an hour when you can spare the time is an enormous help.